Protable Garden Hammock Swing Bed is a common item in our daily life, either for indoor or outdoor use. Would you like to have one for yourself? 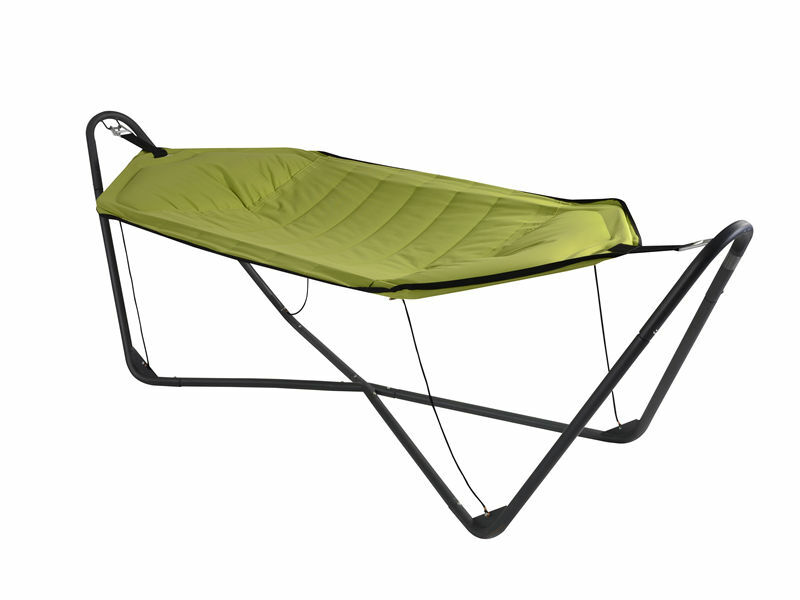 How about trying our Foldable Leisure Enjoyment Outdoor Hammock Bed with Frame. By using high-class cloth material, it is wear-resistant enough for long-term use. Most of all, this hammock is in folding style, easy and convenient to use. And it is quite space-saving when not being used. Take action if you like it! Looking for ideal Protable Garden Hammock Swing Bed Manufacturer & supplier ? We have a wide selection at great prices to help you get creative. All the Hammock Bed with Frame are quality guaranteed. We are China Origin Factory of Patio Hammock bed. If you have any question, please feel free to contact us.